Let me start my review to Hilarius Jason Pratana, you! You are a sort of my best pal during this Unknown Asia. When I reviewed your photos in Jakarta, it seemed sensitive and pure as if the heat, or temperature of Jakarta went something to be subtle and cooler. It was my impression at that time. But, surprisingly your works at the Unknown Asia was really funky and full of vibes. It was a really great surprising. You rock! The red color in the portrait, the graphic looks like a call girl; they are not indecent, They ARE cool. And you grabbed to people who know what fashion and photography is. You are a professional creator, I believe, and you got 2 judges awards; Shono and Takahashi of Unknown Asia Committee! And last but not least, you obtained the sponsor DAIBIRU Award! I really cannot wait to see your picture hanging as a big flag in the Daibiru. Let me say again, Congratulation Jason!! Hi Debbie. Your illustration touch seems light but I know it is very conceptual. I like your i-pad illustration series imaging the Shanghai travel. And more that, tracing as illustrations that you were inspired from #love in Instagram was so unique and vivid to me. I was so impressed your talent as a creator, you got me, Debbie! She handed me a green acrylic board and said "look at my pictures with this". I am the one of the spaceship crew. She brought us to the space trip she draws with her characters. She showed each captioned in Japanese and it was so nice to see her enjoying communication with audiences. Her 'Earth Spirit" series was selected by the Indonesian Watercolor Society. I thought her jewelries were ceramics at the first glance. But when I looked them carefully, they are enamel coated metal. Even using hard metals, they are sleek and shaped as if tracing her emotion and touch. Unique and versatile as some can be a brooch, a necklace and an object if attaching to these special boards to the wall. Soft pink, smoky brown, turquoise colors suit to her skin, so chic look! Prices are rather valuable though. The Unknown Asia PR staff Junko Sasanuki has been contacting her for a project. I hope it will be a good collaboration. What an amazing collages of an animal encyclopedia with imaginative animals that are a dream from our childhood they are! As the title "Chamber of Enigma, Cabinets of Curiosities" says, his world is like a toy box full of of curiosities and thrills. I love the way of you showed the turtle! Awards of reviewer Takanori Yoshida (BYTHREE) and judge Takahiro Kaneshima, the director of Art Fair Tokyo and Art Beijin. You are so talented Asian creator, Resatio. I felt you have something in common with Teppei Kaneuji's works. Award winner Evelyn! The dynamic photograph (right) as if the magnificent sky filled with stars is a picture of black sands in Bali Islands. She told that the brightening object looking like a starry star is a piece of glass on sands. Everything has a life and there is Space in even small things. Her works remind me that expressing "animism" by photograph is this. And the title, "Stars below - Space", you rock Evelyn! Meanwhile, I was wondering Indonesian artists were so friendly together. So, I asked to her if they have known each other for long time. She said, Ignatius Hermawan Tanzil put together artists and they have built up networks to exchange information before coming to Unknown Asia. Wonderful relationship! I like you since I met at the portfolio preview in Jakarta. First, good colors. Second, thickness of lines, entire layout balance / interval is good. I can see sense of humor and light & bright feeling in your works that make me cozy. And, Michelle, I like your personal characteristic, too! Your "Beyonce" is super duper! I want to have your illustrations to 'My First Art' series produced by DMOARTS, seriously. And, what made me laugh was that pin "SON OF A PEACH", I LOVE this kind of your sense of humor very much, Michelle. She was one of the most outstanding artist among all exhibitors this time. Bold coloring and colorful collages that traditional painting methods meet contemporary images enchant us. 'Fantasy' and 'Phantasmagoria' (phantom) are her visual language, and using this what she expresses is the conceptual articulation of women's desire living in the modern world, she said. Hiro Sugiyama, Koji Sasaki, Sigeki Hattori, Junzo Terada, Yoichi Nakamuta and Mayumi Matsubara.... these arts masters in our creative scene chose her to their awards. Her works are exhibited again at Daibiru from November 27 during the UNKNOWN ASIA EXTRA events. Super Kawaii!!!! Her world is full of good old scenes of Japanese families that we Japanese have left somewhere now. Capturing warmth moments such as family time, onigiri (rice ball) that mummy makes, school lunch.... It's not Thai at all! Very 'Showa' era! I got it because she was so influenced by the comic "Chibi Maruko Chan", she loves Chibi Maruko Chan very much, haha. Her illustrations made us everyone smile and feel calm. This sweet lovely family scenes must be attracting to everyone beyond generations and genders. I really want her opportunity to work in Japan. I believe that there are good business matchings for her and you! How about Cottons san??? The young illustrator I met at Bangkok. This street vibes and color senses seem influenced by Tadanori Yokoo and Keiichi Tanaami, but she doesn't know them at all. Her pop and rock'n roll taste might be matched to FM802? You put so many drawings in the booth.... I am still confident that you would have had more popularity if you had displayed that Gamelan taste drawing outstandingly. Keep it up! The Malaysian artists from Sarawak in Borneo. Parade like bunch of ethnic feeling artworks are so fun! He said that Malaysia is fusion of different culture, and it is obviously in his world; the mixture of various art types of Indian, Balinese, Ausutralian... The head costume I wore is this! This picture (above) was taken at his booth. She is a popular graphic designer and illustrator in Malaysia. See the center banner behind her showing WORK SPACE with the Japanese title ワークスペース. She filled her illustrations entire the booth. Thanks for handwritten Kanji typography. I don't know whether they did meeting how to install their booth though, presentations of everybody the Malaysian team along this aisle covered all walls with their artworks without any space. They are the illustration duo from Malaysia. They run their own company as clients base B to B works, on the other hand they organize creative team that they can create freely. Look at this funky vibes presentation! I met her at the portfolio preview in Bangkok. She also draws imaginative creatures like Resatio from Indonesia. Every work is done by hand drawing. Her creative world is lyrical and museum like mood, and at the same time, I cannot resist such a humorous eyes of creatures that she draws. They are heartwarming and pleasant. She gave me a vynil LP record that she did the art direction in Bangkok, and the folky music perfectly matches to her lyrical world. Nice music, too, thank you Lili! I met him at the portfolio preview in Bangkok. He is an illustrator who works for big projects such as aircraft's body paints for Air Asia. His drawings Vincent van Gogh and Kurt Cobain on blank lotteries as a campus that his parents drew are so super hip. You would have been more outstanding if you had displayed focusing on those drawings on lotteries. Black and white illustrated girl with a look of melancholy.... she said the theme of monochrome drawing is a blind girl. Only this center picture has colors that she expresses this as images inside of the blind girl. It has colors. Curious. What inside of deliciously browned baked toasts is geometric graphic design and every geometric has different theme; for instance, one is about Thai economy, another is for public survey. He wraps every concept with slices of bread. His drawers storing ideas seem so variety from pictogram, information design to publishing design and I can see his tremendous interesting to designs from this sophisticated presentation. Space composition Pam creates in her photograph is well thought out simplicity. Series of subtle landscapes printed on thin copy papers reflect fragility and transitory briefness of life or landscapes, she said. Evelyn Pritt, the Indonesian photographer said she was so moved as if she got goose bumps on Pam’s presentation. Her works attracted much especially photograph professional reviewers and judges. She got 3 Awards by Mr. Sugiyama, the director of the Rokko Photo Festival, Mr. 北原 和規 (Kazuki Kitahara), the art director of Unknown Asia and the founder of UMMM, and Mr. Fang Yen Wen, the photographer and the owner of G Gallery, Taiwan. I am really expecting more opportunities to see her photographs in Japan in the near future. [ D-07 ] タニモト大作DAISAKU, tanimoto. The illustrator I met Independent Taipei and Tokyo. His picture book titled "New Day" is extremely impressive, and it was really series of UNKNOWN attractions and charms. I was so moved his illustrations, so I immediately asked to be one of the key visuals of UNKNOWN ASIA 2017. Finally he came to Osaka with the flag neon. I hope everybody enjoyed his magical & miracle world. He is so nice, cheerful and talkative guy. One thing I missed this time is we did not have enough time to talk. See you soon Liang Gen! I met her at the Independent Taipei and we met at the portfolio preview in Taipei again. Repeated rabbits drawn on the transparent acrylic board are layered, and it expresses movements and a space of time. Subtle, soft colors increased images of her sensitive gentle motion picture like scenery. In addition, shadows cast from spotlights to acrylic boards was beautiful presentation. He is also one of the pal I met at the Independent Taipei. He paints geometric abstract pictures on the wood board, and he attempts to play colors and uncolored wooden surface in one picture. When I looked closer, the straight line looks like horizon and I can recognize "space" even in the smaller size of picture. Layout is well thought out to compose one big world by viewing entire pictures which is wonderful presentation. He is one of artists that I would like to introduce more at any good timing. She exhibited film and film-like photographs. The fireworks event was taken at the festival in Taiwan, and she attempted to fuse metempsychosis, the Buddhist concept of cycle of re-birth in the film. I see. We also have festivals fused to Buddhism like Homa and native fire festivals. I re-realized Asia is one because Buddhist concept and views of life and death are the common idea in Japan,too. Pity thing was that Japanese captions with works were Google translation, hardly understand, that's pity. I hope Fang Yen Wen helps her next time. She's one of the pal of the Independent Taipei. It looks like the computer graphic design BUT NOT. She cut out screen tone one by one and put pieces by hand... surprising! It is too precise to notice this was done by hand and it's really pity to see people overlook for it. I cannot be there to explain... The left object had damages while deliverying, sorry to hear that. I hope she enjoyed the event. Born in Taiwan and Australian based illustrator Po. Her illustrations are all cheerful and bright like her. What she draws are universal scenes surrounding us, animals, fish and birds wearing clothes... so cute to see as if they all start chatting. She is an professional artist in Australia working for from illustrations of newspaper to picture books. She is cheerful, smiley, cute and very friendly. I hope any chances to work for Japanese clients. He is a Hong Kong based photographer. His approach is layering pictures of neon shot in Kowloon by multiple exposure, and photographs came up represent his concern to consumerism - this is his context. But photographs are amazingly cinematic and romantic beyond his context to annoy the material world. He provided his image for the poster of Unknown Asia. He printed textured and tasteful photographic paper with sign and seal, it was really cool with vintage feeling. It was affordable.... I should have bought it. Hong Kong based artist Lau san creates new art by sampling illustrations from old textbooks with adding different words. His works have something nostalgic and old good days taste that made me recall Bunkaya Zakkaten, Daichu and VOW in 1980th. His creation attracted much especially fashion keen reviewers who are in the main stream of fashion industry in Tokyo and Osaka on the VIP preview day. I cannot wait to see him to collaborate with Japan. Let me introduce words from 北原 和規 (Kazuki Kitahara),the Unknown Asia art director who left impressive comment to you both, "There is an awesome tone & manner throughout entire creations; pictures, products (super duper the square sole shoes!) and graphics. I respect your power of creativity keeping the consistent identity to wide variety of works." I do think so, he tells the truth. Thank you very much for the nice pin badge! Oliwa's doodle! She is a high school student from China! She likes good old retro stuff and toys of bottle caps, and she paints these motives (she said so). She is still unskillful but what I am interested in her is she seems enjoying painting freely. I went to her booth many times to talk with but couldn't make it. Awww, she is a high school student loves freedom. She graduated from an university in Nottingham, England and now works as a professional graphic designer in Shenzhen, China. Brilliant and full of great illustrations are printed to each neon orange envelops and greeting cards. Her idea to deliver fancy message through the illustration to receivers is successful. Everything is fabulous! Japanese stationary company must rush to push and shove for collaboration with her! BTW, she was wearing 1103105 T-shirt, I had a great common with her. We have same tastes! 2 booths exhibitor, Rlon is the Shenzhen based illustrator. Very skillful! He might study Jakuchu. This is a good example of Japanese paintings remixed by Chinese contemporary illustrator. He already works with major clients such as Absolute Vodka. I really hope you will get good connection in Japan, Rlon! Chinese illustrator and comic writer. As you see, he filled with light touch of cartoons in pink and purple colors that was very interesting artist for me. But everytime I went to his booth, he was not there. It was very pity because I was interested in his works, I wanted to talk with him. It is another side but more important thing is that communication and building relationship at the Unknown Asia otherwise you loose opportunities to be reviewed or to be asked for business. Mottainai. Maria! We have been keeping in touch by emails and meetings since you got my award at WONDER FOTO DAY in Taipei. Unfortunately you were not able to come to the VIP Preview day this time, I am still sorry that it was a bit difficult to tell audience your attractive and sensible photograph fully. But, Kana Kawanishi, the photograph director I trust much, her comment to you was wonderful. I would like to quote it here. "Maria focuses that the climate creates landscape. She is an unique photographer to create new landscape photographs capturing changes of climate. She catches atomosphere of the exhibition site and chooses the best type of paper to support the photograph for the site. She can create dimensional installation flexibly depending on the space. Everything she chooses has a logic. She studied architects so that quality of her presentation and works are quite high." I met him at the graduation work exhibit 2017 at the Kyoto University of Art & Design. I was so impressed his work of ceramics installation. At this Unknown Asia, his presentation was also impressive maximizing the limited booth space. Layout composition of these objects with holes was perfect to show the fusion of movements and the space inside the booth that I think high level of presentation skill. I am curious what he design the space if more budget allows. I met her several times in Taipei and Tokyo before this Unknown Asia, and I am very glad to introduce her this time. She studied Chinese ink brush painting and calligraphy at the university. Her "food" pictures reflecting the traditional Chinese paintings method captured the moment of dining scene, and she fully expresses not only for food but also entire atmosphere and happiness at the table. I felt it is new approach by paintings to Instagram, too. This time she introduced Kitsune Udon that she wanted to paint when she comes to Osaka. I really think that her attitude to paintings, flexibility and quick action are also definitely her advantages. Tania, thanks for coming!!! Artists from China. He creates new objects inspiring from Japanese too famous figure Ultra Man and SSSP（Science Special Search Party). So wired ad unique object artist in Shenzhen. Despite he was supposed to join in this time with the Shenzhen big artist Eric Chu, he was not able to come to Japan.... his visa was not approved by China because he does not work now.... so only his works came to Japan. Well, we would say this is one of the Unknown Asia. She is an illustrator born in Taiwan and raised in Korea. She draws impressive One eye character. In Seoul, she does exhibits at coffee shops and creates Line stamps, too. She was often out of booth so I missed chances to talk with her at all unfortunately. Did you enjoy Japan this time? How about coffee shops in Japan? Super stylish design team from Korea. They are professional designers and names of major companies are in their clients list. 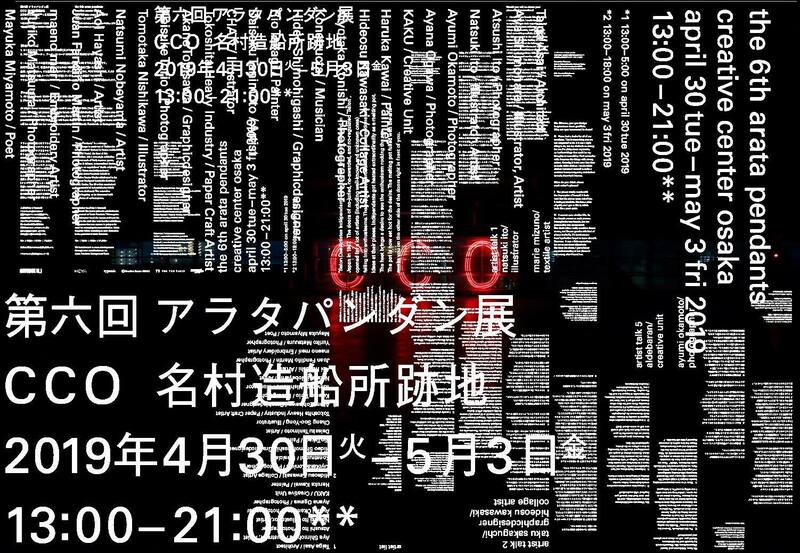 At the same time they are art events like HERE IS ZINE and TOKYO ART BOOK FAIR. I asked them "you seem expensive if I ask you to work? ", they said "kind of", LOL! She is also one of I really wanted to meet, but did not make it . Full of POP Korean feeling, her work reminds me Shibuya rooted pop illustrations in early 2000. Girls with traditional beautiful long hair and sleek eyelid, what she draws is really Korean beauty. The girl (this is also used for the Unknown Asia limited official poster) is staring me. Taiwanese artist I met at Independent Taipei. Layering paints by his own unique method, he creates marble like smooth textured paintings with great high skill technique. This time he exhibited big piece. I was worried audiences can notice they are pictures not stones because they are too super high quality works to recognize as a painting. 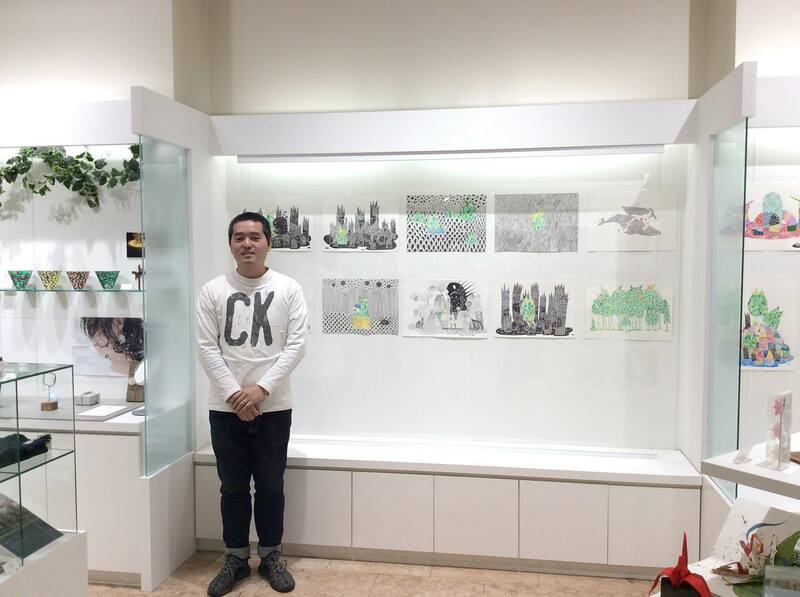 But I relieved some works were sold and he got Reviewer's Award by Ryota Kanesaki. Professional industry designer Jerry exhibited cynical 3D animation with the theme of "Stress of modern life". It was unique and lots of sense of humor though, way of presentation was bit weak unfortunately. I know it is difficult to have people stay in for a few minutes. Keep it up. Taiwan based illustrator, Austin represents his own unique characters with less colors and simple composition. His works representing humorous relationship between monkey like characters and human is definitely imaginative and kind of a story that he attempts or not, and I was impressed his presentation. It is simple but I felt his confident much. He is a guest artist from Taiwan. He exhibited "Crying Woman" series that he has started since 2011. He makes portraits of 500 (!) women in crying in front of his camera and film archives. Film of women in crying in front of him who did not meet before the shooting is really beautiful and untactful ... it is also scarily for men you know, Shengyuan. Continuing from last year, this is Rinna chan's 2nd time of Unknown Asia. Although last year's work was awesome, but it was upsetting that she didn’t win the prize. This year after having a talk with me at the Portfolio Review in Bangkok, Rinna chan brought her original works to the show and won Ashikaga Naoko’s Prize. I read her Facebook on how she was struggling through out the year and I was deeply moved by her fighting spirit. We Unknown Asia feel the love and considered it our responsibility to continue to support her. I met her at the portfolio preview in Bangkok. She is already popular professional illustrator not only in Bangkok but also in Europe. Her simple, free and witty works have lots potential from fashion industries to business world. The committee Shono san praises her talent, I am really looking forward to seeing her illustrations in Japanese media. He is a popular illustrator in Bangkok. Clear structure and story like girl with big eyes bring impressive illustrations. Navy and Orange add accents and rhythm to his entire works, I am sure he attempted to do it. Comfortable presentation. Thai based design unit Means Studio showed good vibes presentation. Series of layering human silhouette, playing with iconic contemporary artists such as Duchamp, Opie, Koons and Barbara Kruger. As expected! I felt Thai artists of this year are all high level and quality! Excellent! To Japanese artists, Don't to much focusing on business but do have more playful mind! Gula means suger in Indonesian originally though, he named himself as Gula as Gusto Laboratory which means Happiness laboratory. His mission is to make people happy with his works. Very bright and light touch with green and blue colors. He was as friendly as characters he draws. Gula, let's hang out in Indonesia! Hong Kong based illustrator and comic artist. She draws a lot entire the space! Where is Worry like her happy CITY VIEW attracts people and she has been working with major companies in Japan, France, Swiss, USA, England, German and so on. She also joins to UNKNOWN ASIA EXTRA at Festival city in Nakanoshima. She is now drawing new work for it. Don't miss it. I have known her (and her boyfriend, too) since the 1st Unknown Asia in 2015. Heartwarming Kawaii illustrations she draws. She is very talented artist who can work from fancy to spacey. You might give more impression with bigger pieces. I hope you have more opportunities to work with Japanese clients. She's from Shenzhen, now NY based artist. These dome shaped objects are "tapioca". She draws emoji like faces on. She does this type of installation at cafes in NY. She is wonderful person, very cheerful and talkative. I believe in communication art requires personality. Someday I wish have a cup of tee with her in NY. Sito is Indonesia based artist. Since his presentation was bit vague to understand, I asked him about it. He said his main performance is making film! You must have a monitor to show film! On the last day, he showed QR linked to his video site. I wished it worked. But anyway, I felt it was a weak presentation than others there, it's pity though. He is one of the competitive artist through out 200 candidates in Indonesia! Literally Indonesia was very competitive this time. He fuses sleek taste of water color painting x resins and creates thick 3D drawings having depth and transparency - and religious picture like touch. What he draws is about human. The more I look at, the more interesting it looks. His works also have a sense of weight. It would be good to have and to look at. His 2nd Unknown Asia. EGPE is a graphic designer from Thai. He focused on big piece of really so may works and precise graphic that layering many lines printed on the clear material and lighting. He showed it at the portfolio preview in Bankok. His reputation at the Unknown Asia was good. He told with big smile to me that he sold the big piece. I am happy to hear it and wonderful! "The Jam Factory" (Thai) director Pahparn recommended Kanith, the Thai based illustrator. I met her at the portfolio preview in Bang Kong and soon I liked her works very much! Perfect balance between her own unique black humor and color is a kind of addictive. And, she got the judge awards of Taichi Sugiura (CINRA), he is the Asian POP culture explorer! Is this a prologue to start something!? I met her at the portfolio preview in Bangkok. Her work is wonderful because of skillful photographs and installations with full of unique surreal feeling though, this time I felt she it became a bit scattered presentation. She might have wanted to show her surreal world as much as possible in Osaka. I wanted to see the graduation photo like girls installation, bringing the old desk to the book.